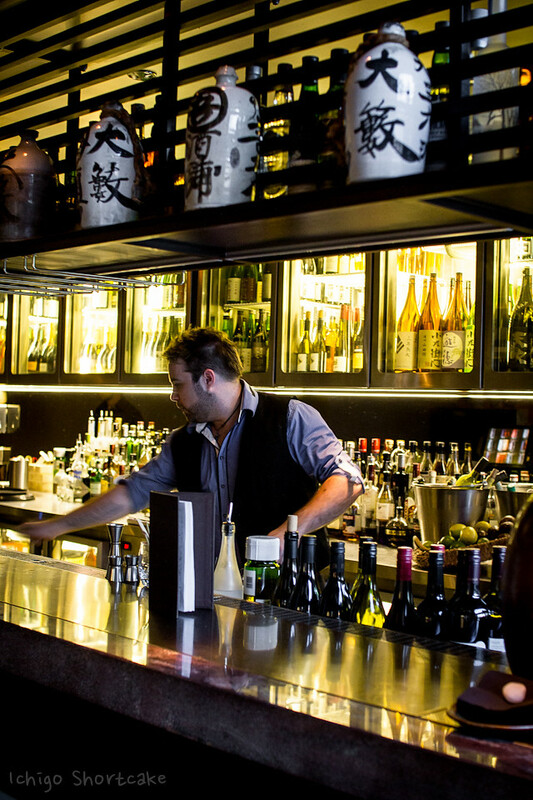 Since I started the liquor business I haven’t really had the time to visit the city much so I was enwrapped when I was invited to sample the menu at Sake Restaurant & Bar one summers night a few weeks ago at the newly revamped Hamer Hall at the Arts Centre. 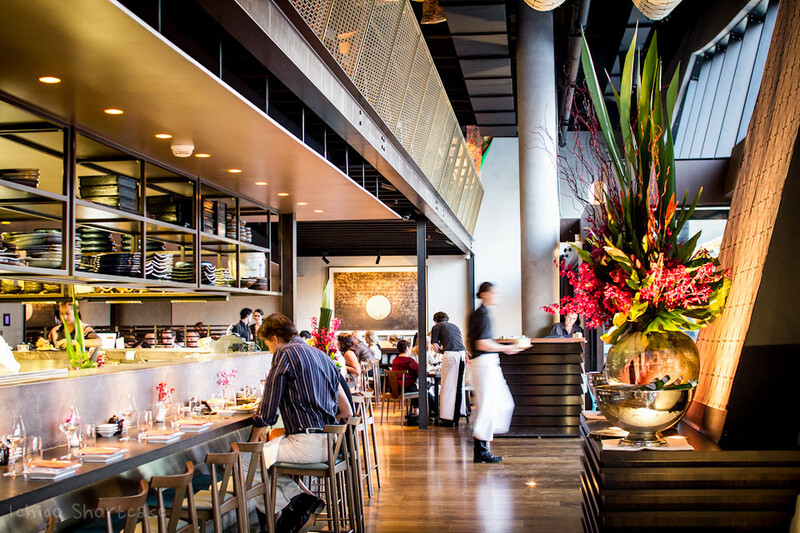 Sake Restaurant & Bar is a Japanese fusion restaurant located on the lower floor of Hamer Hall and boasts one of the best views in Melbourne. The earthy tones and upbeat decor coupled with the stunning views is a perfect combination for afterwork drinks and that special occasion. Due to the location of my shop and the crazy city traffic, I was slightly late to dinner even though I left work nice and early. Not liking to be late to such events, I walked the fastest I could (or ran rather…) in the 30 something degree heat all the way from my far away parking spot to the restaurant. 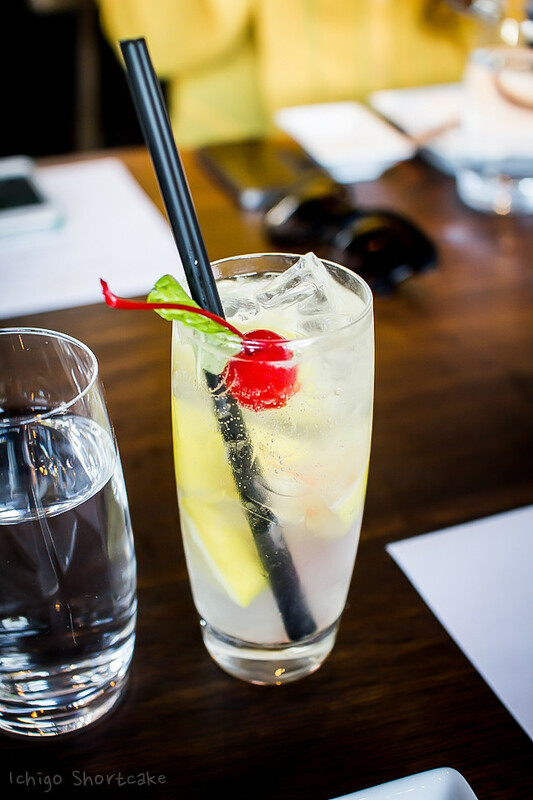 A lovely waitress welcomed me at the door and brought me to my waiting companions along with a refreshing and even more welcoming cocktail that is a Japanese twist to the Tom Collins. 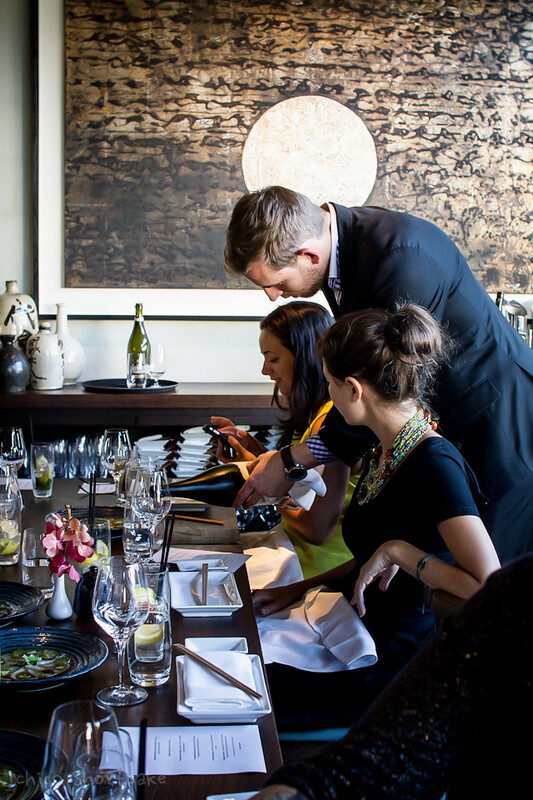 The drinks menu and extensive sake list has been hand picked by sommelier and bar manager Alex Watson to pair with the food and comes with some of the most interesting combinations of ingredients. Think rum, umeshu (Japanese plum wine), soy milk shaken with chilli, caramel and cinnamon syrup or Hennessy VS, fresh shiso leaves Jerry Thomas bitters, lemon and egg white. The drinks here can really be considered the pinnacle of creativity and fusion. 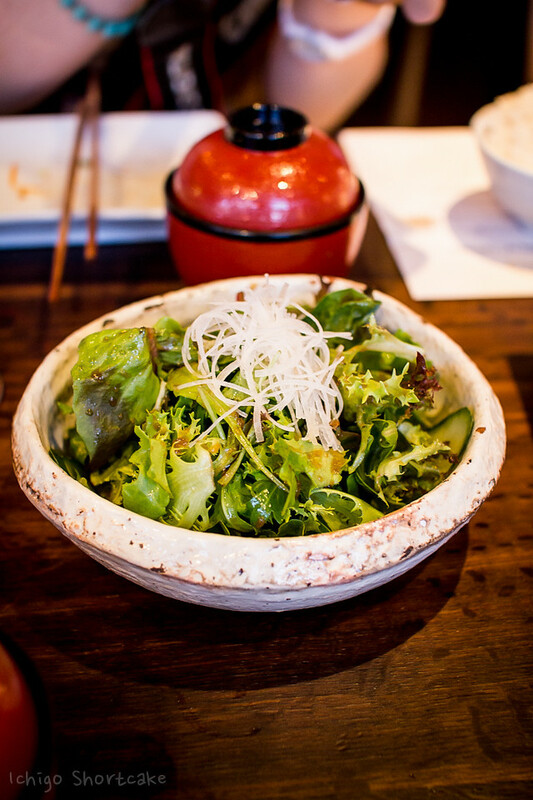 For those of you who have been reading my blog for a while now would know that I love Japanese food, but I’ve never really been sure about Japanese fusion, or fusion of any sort so I was a bit skeptical about the food. 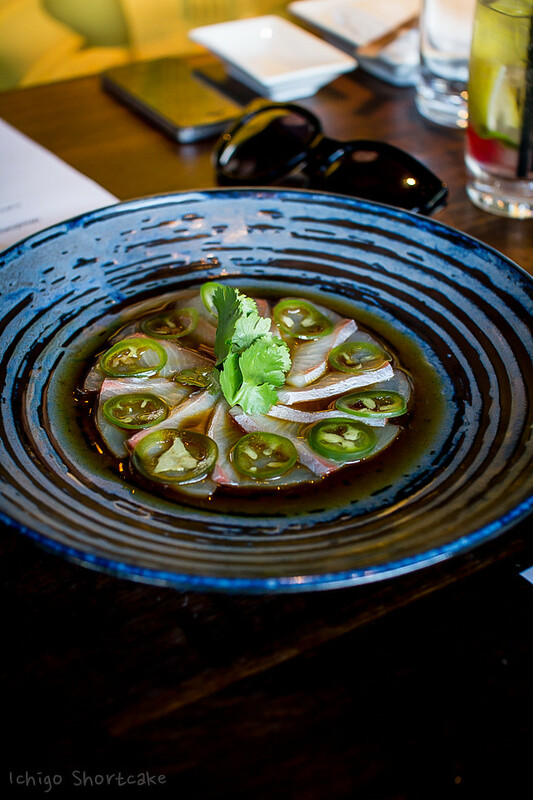 For the first dish, we were served the kingfish jalapeño using hiramasa kingfish, yuzu soy, jalapeño and coriander ($24). The Hiramasa kingfish is procured from South Australia using ethical and sustainable farming methods. 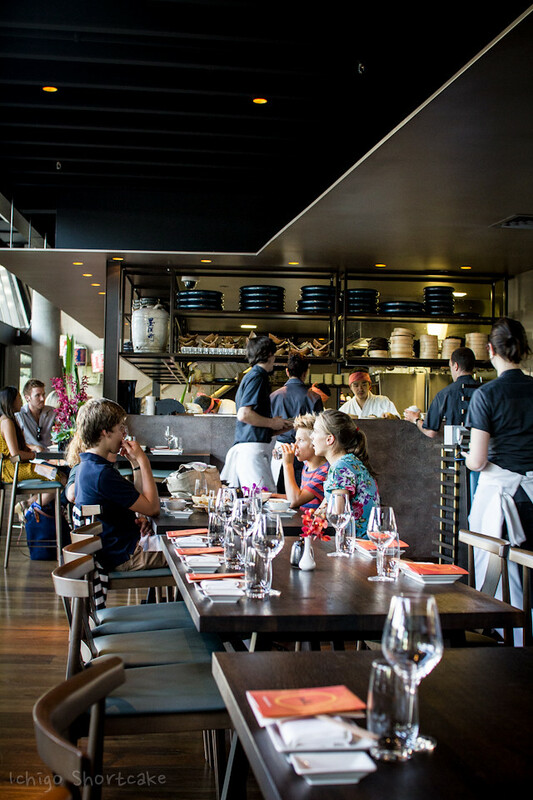 This applies across the menu and has been carefully thought out by Group Executive Chef Shaun Presland and Melbourne Executive Chef Rose Ang in consideration for sustainability. This dish had a mellow flavour with faint citrus and jalapeño combination throughout which went nicely with the fresh kingfish. It was a gentle and refreshing start to the evening. 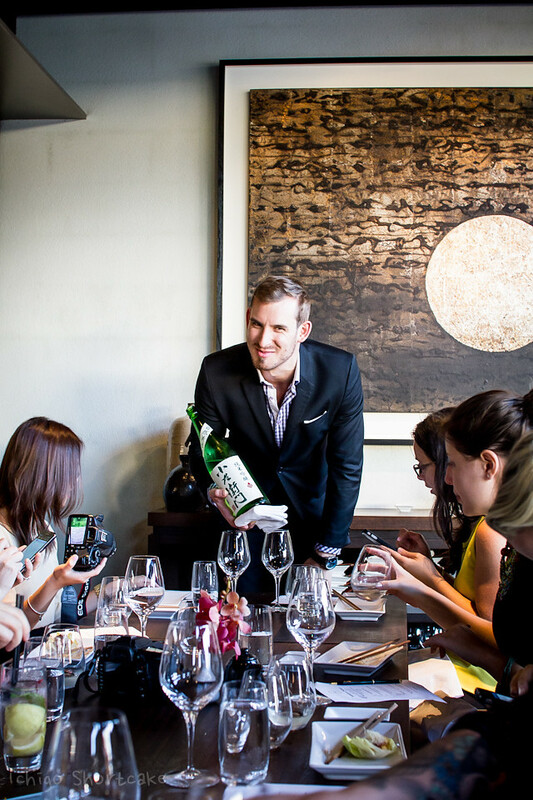 You don’t see coriander or jalapeños in Japanese cuisine but citrus soy sauces are common. I’ve always enjoyed citrus based soy sauces (such as the ponzu sauce) so naturally this dish went down well. The second dish was the salmon tatami with jalapeño dressing ($29). The jalapeño dressing was quite light in this dish and was creamy. I would have believed it if someone told me it was avocado dressing as I couldn’t taste much jalapeño. The salmon slices were fresh but slightly at room temperature. I rather liked the first dish compared to this one. These two entrees were paired with a sake called Kozaemon (小左衛門）Junmai Daiginjo made in the Gifu prefecture of Japan ($14 a glass). 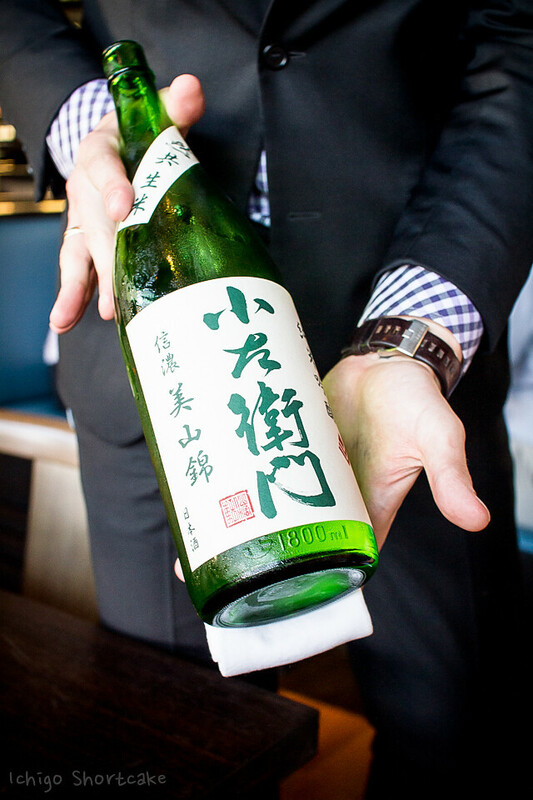 Junmai Daijinjo basically means the sake used rice that was polished to at least 50% of its original size to give it a crisp, pure and fragrant taste. This style of processing is considered the highest, most premium sakes available and obviously costs more as well. This variety was made in a small batch with apricot and peach notes. I found it slightly sweet, smooth with a spicy kick to finish and went down very nicely with the kingfish. 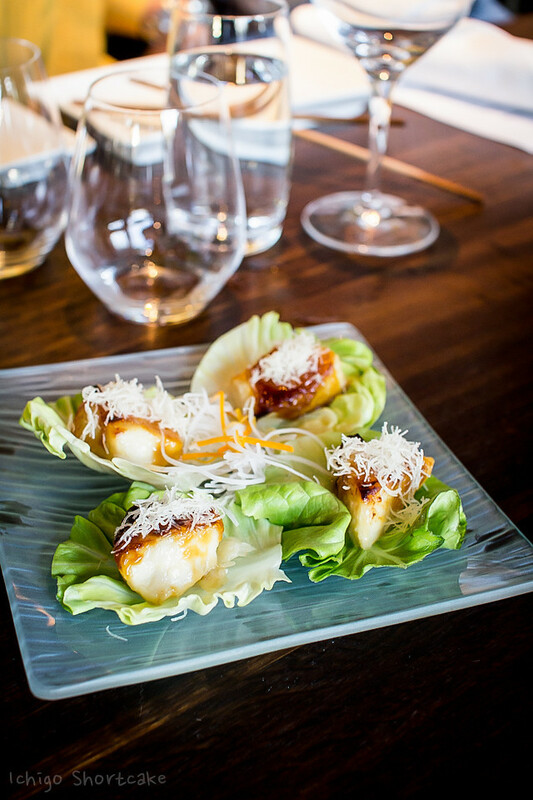 Our first warm dish was the toothfish lettuce cups with grilled miso-marinated Patagonian toothfish in lettuce cups ($22). This was one of the most well received dishes of the night. They were a little gingery, full of miso and soy flavour and the fish was very tender. It was a well rounded, well seasoned dish made more refreshing with the lettuce. Definitely a dish to be eaten with your hands. The next dish was the panko fried rice balls with soy bean, bamboo & shiitake mushrooms encased in rice and fried. 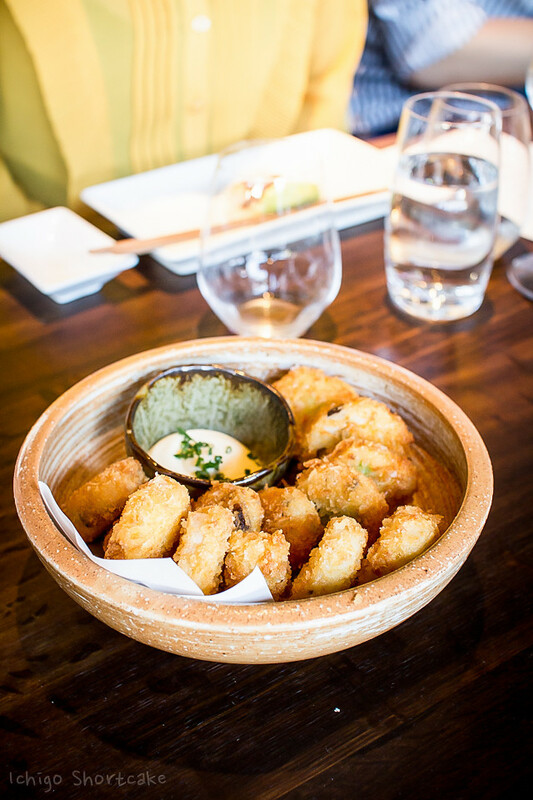 This was a fusion take on the traditional croquettes. Although I loved the concept, I rather wished it was a little more seasoned on the inside as without the creamy sauce, it was a tad too bland for me. The wasabi mayonnaise on the other side was a little too creamy and heavy. Perhaps a more citrus based lighter sauce would have gone better with it or even with a green tea salt and pepper that Monga Izakaya used would have been great. 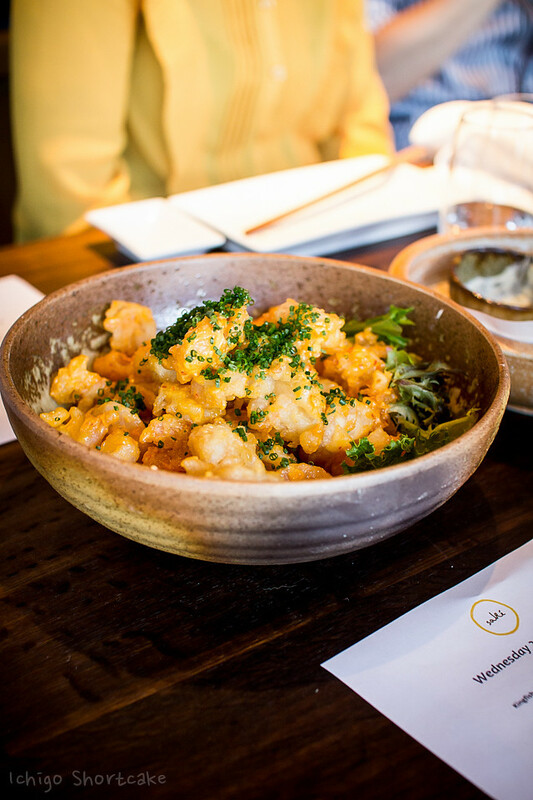 Next up was the shrimp tempura with creamy spicy sauce served with yuzu dressed salad. Many people liked this dish the best but although it tasted fine, I felt this dish was the least Japanese out of all the dishes. The batter on the shrimp were not the regular light and airy tempura variety but more like a fish and chips batter. I do think it’s a great dish to have in a bar setting though as such foods make great bar food with some beer. This dish was huge! Huge is an understatement. I don’t think any table finished their shrimp dish. Just a note though that the regular dish that you order on the menu would not be this large, it’s more like the size of the panko fried rice balls. The above dishes were served together with our second sake of the night and it’s also from the same sake brewery Kozaemon. This one was a Junmai Ginjo which uses polished rice to at least 60% of its original size. I found this one to be a bit stronger in alcohol taste and a little bit more dry than the first sake. 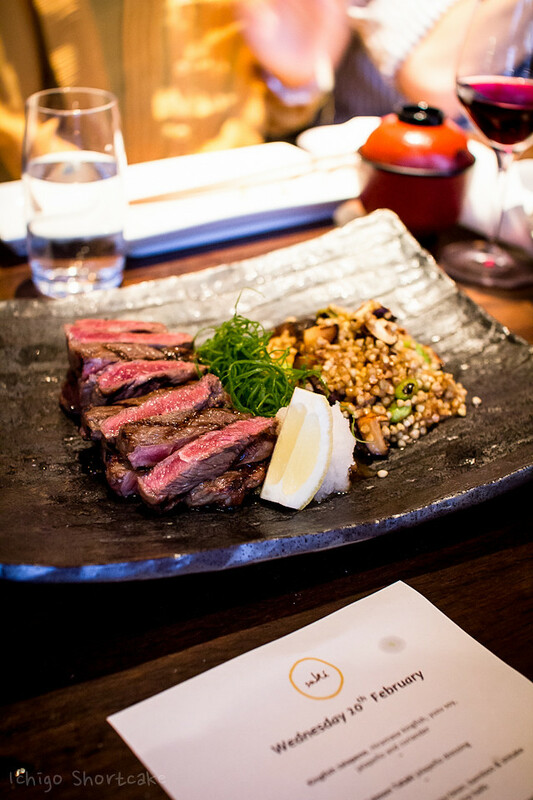 Our main dish of the night and the most looked forward to dish for many of us was the wagyu teriyaki using 7+ wagyu beef served on sautéed shiitake and buckwheat with yakiniku sauce. I was in love with this dish. The slightly sweet yakiniku sauce went very well with the whole buckwheat and tasted healthy even though it was quite filling. The beef was so tender and delicious it was hard to stop eating it even though I was already so full! Definitely was my favourite of the night. I’d be very interested to cook with buckwheat after that dish as I had never had it in this way before. The grated daikon and shredded spring onions gave it a lighter touch. This dish was served with a green salad (which was drenched in a citrusy sauce), a miso soup and rice. Similar to my fellow diners, we couldn’t really finish the rice as we were all stuffed. 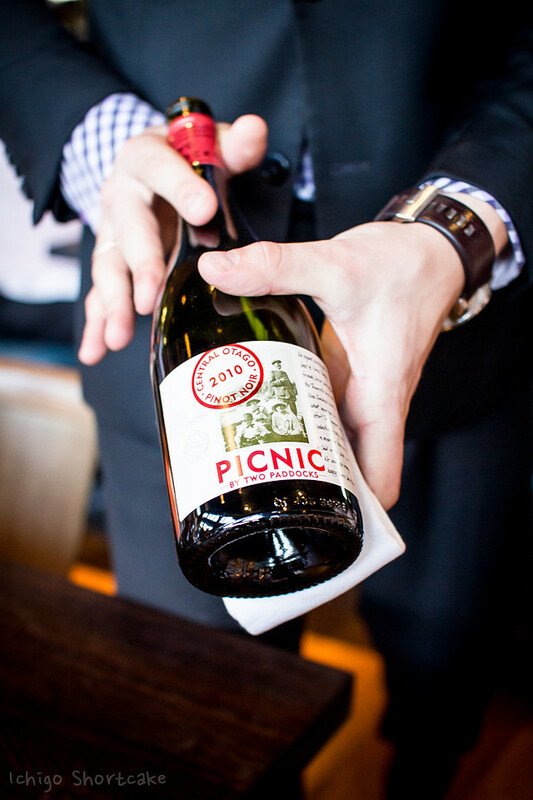 It was also served with the Two Paddocks Picnic Pinot Noir from 2010. It was lightly sour, refreshing and easy to drink. It was a great match to the beef and a good red for a hot summers day. 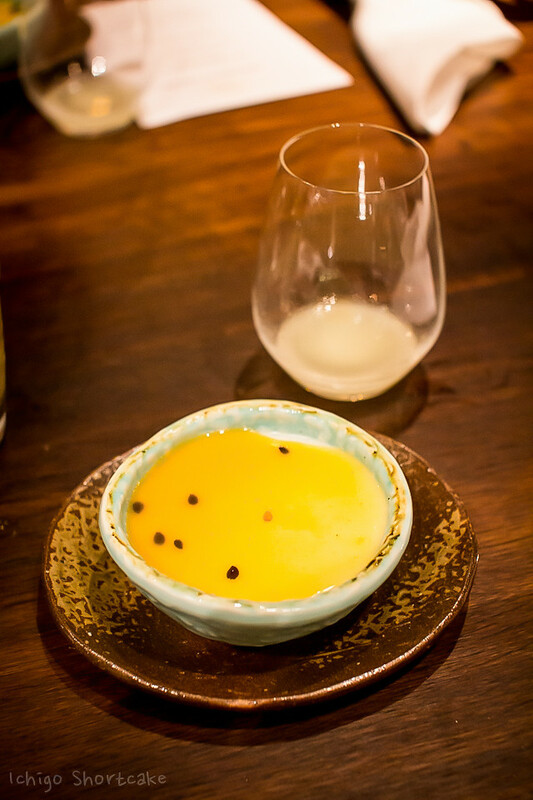 Our dessert was a buttermilk pannacotta with passionfruit coulis. Truth was, I was expecting a slightly more Japanese dessert which their menu has but it was still a refreshing and well executed dish. The buttermilk gave the pannacotta a slightly tangy note and made it a bit grainy rather than the usual creamy and sweet version. We ended our night with my favourite yuzu sake which I picked out as soon as it came out. It has a distinct sweet aroma and light yellow colour. If you haven’t had yuzu flavoured things before, you’re totally missing out! As I mentioned in previous posts, yuzu is a Japanese citrus that’s in between a mandarin and a lemon. It has a crinkly skin and very little juice so generally the peel of the fruit is used in dishes and drinks to give that tangy, citrus taste. 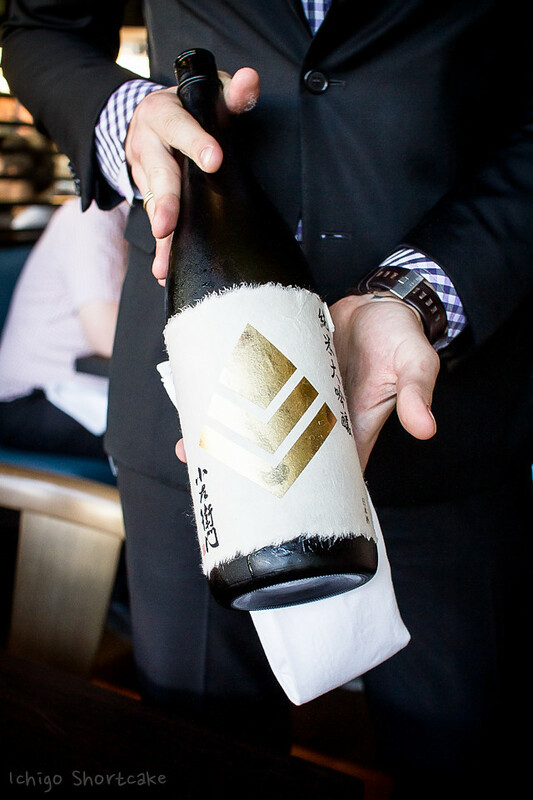 If you don’t like the taste of sake or need something less strong to get used to it, the yuzu sake is perfect for you. 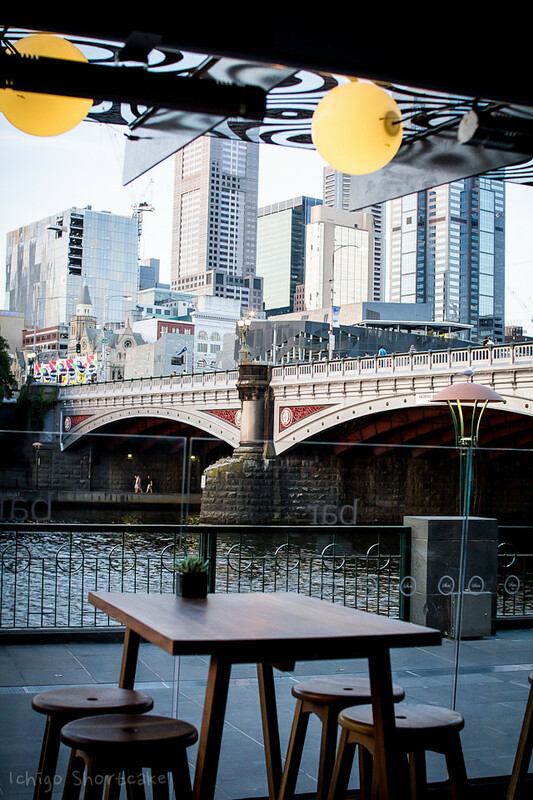 There’s no doubt that Sake Restaurant & Bar has stunning views, fantastic service and a great ambiance to enjoy casual drinks or a special dinner. 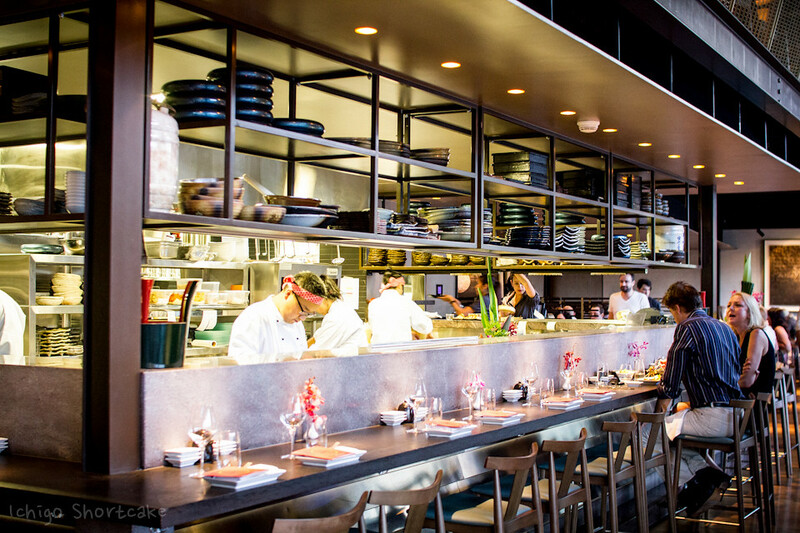 If you don’t mind fusion food, Sake Restaurant & Bar offers tasty and creative dishes to go with their extensive sake and drinks menu. However, it might not be for you if you only like classical Japanese dishes as there are only a handful on offer and whether or not they are made the traditional way, I’m not sure. Even with my scepticism for Japanese fusion food, I still thoroughly enjoyed myself that night. There was not much to fault with the wagyu dish and loved the sake pairings and I enjoyed the company and ambiance even more. For other reviews, visit Mel: Hot or Not, Almost Always Ravenous, Petit Miam and Amy’s Town. 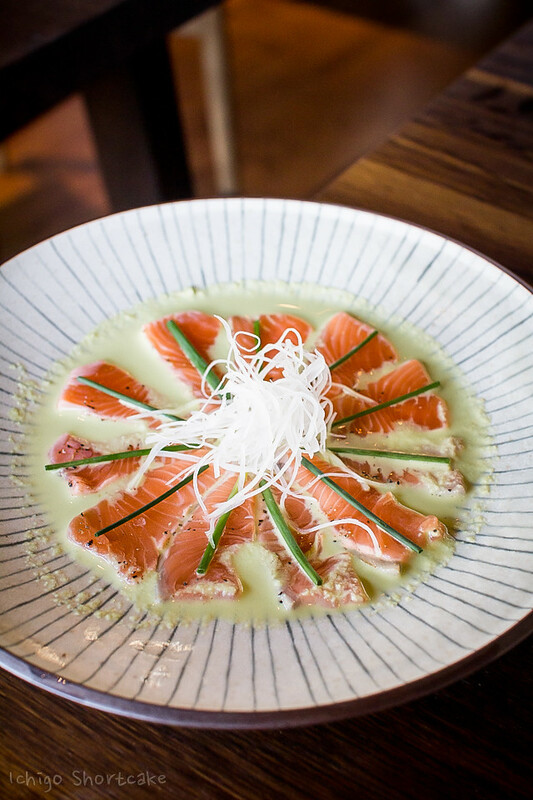 Question time: Have you had Japanese fusion before and did you enjoy it? How does it compare to classical Japanese cuisine? 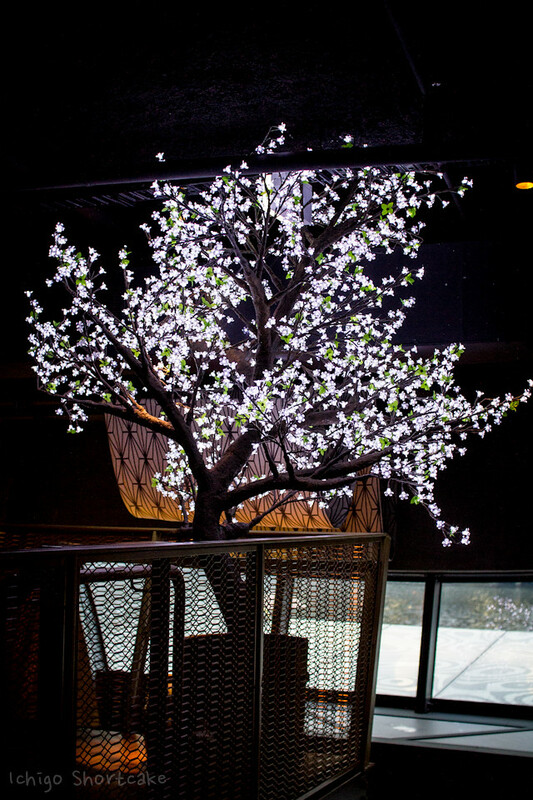 Disclaimer: Ichigo Shortcake dined at Sake Restaurant & Bar courtesy of Sake Restaurant & Bar and Hot House Media. A great place! The food looks amazing. I particularly like the wagyu dish. Sounds like a fun event! Great variety of food, and the restaurant’s decor looks great. 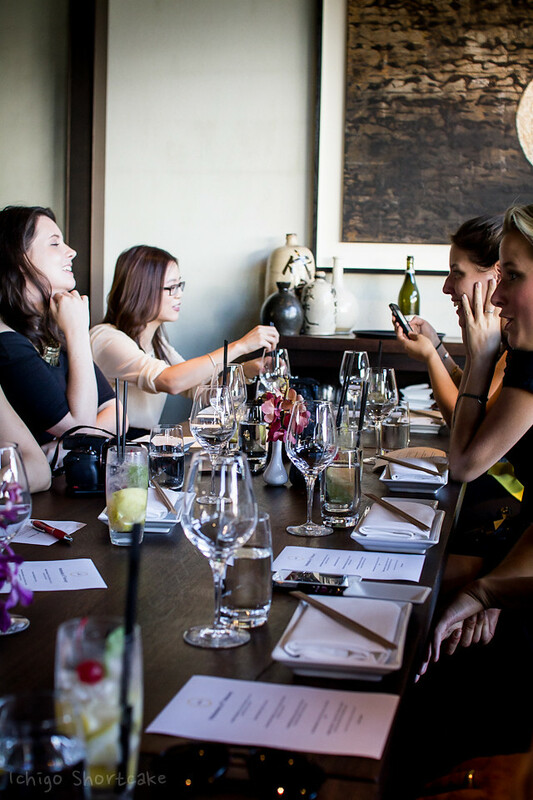 Running your own business is a lot of work, but pretty satisfying – glad you’re enjoying it. I am not sure about fusions either, but everything looks so delicious. I like the place itself as well. Great review and photos are amazing 😉 I’m not really a fan of fusion but my boyfriend keeps bugging me about trying ~ But i guess no harm in trying once especially since that wagyu 7+ looks great! Hmmm wonder if they have more dessert options hehe! Gorgeous photos! That restaurant looks fabulous! Hi Jenny, beautiful place and look very comfortable and stylish. The food look very scrumptious too. All your pictures are very well taken, EXCELLENT! Congratulation on your new business, wish you all the best. I’ve never had Japanese fusion, but I adore Japanese food so I will have to give it a try! 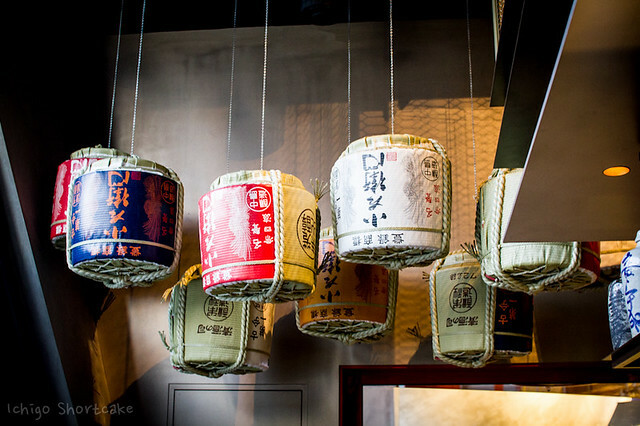 I love Japanese food and it certainly seems like you had a great time there with friends. I would love to visit. So bummed that I still haven’t made my way to this place yet! Everything looks great!